I manage a mechanic shop. I like to think of my business as a platform for discussions of social justice. Working with cars was not my first choice, not a field that I dreamed about working in or being wildly successful in. When I was in high school, I actively volunteered and interned at political organizations focusing on social justice and public health. I dreamed of a career in these fields. Then I became an adult. I graduated high school and realized I needed to figure out how to survive on my own. I needed to pay my own bills. I began my search for a job that made enough to live on and so I can afford to go to school. A wonderful person helped me find a job at Sears, and I applied to the auto center. 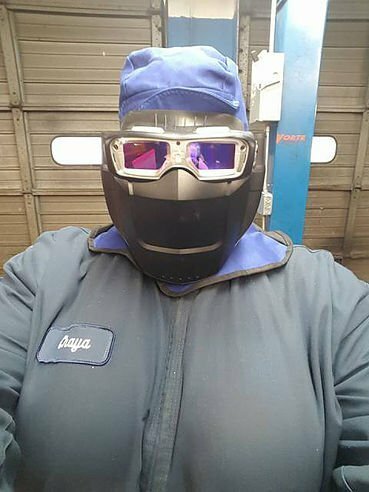 The shop became my home. The mechanics – a rowdy blunt family. I learned that making a difference didn’t always mean knocking on doors. Sometimes it meant explaining to women that the decisions about cars don’t have to be made the current man in their life, but that they were capable of making decisions themselves. The car business is a tough one. It challenges your basic instincts as a victim of abuse to lash back when attacked, to respond when someone verbally assaults you. Every customer who walks into my shop allows me to practice patience, kindness and strength. Every time someone asks for a man to help them, I get to prove what women can accomplish in a world and industry built for men. As the TV in waiting room of my shop blares the latest news, I get to discuss with customers topics like gender neutral bathrooms, police brutality, the Dakota access pipeline and inequities in pay in a non-confrontational environment. I love my field and my career. 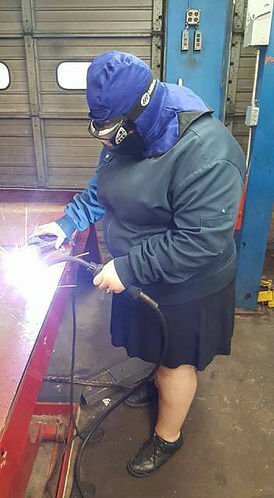 I enjoy welding, though I haven’t perfected that craft. 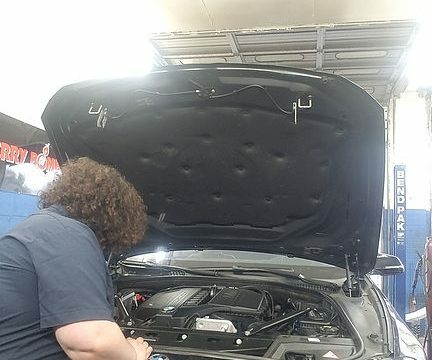 I take pleasure in the rare days I actually get to work on a car. Building a honest relationship with a customer is a craft, a fine ask that takes time and finesse. 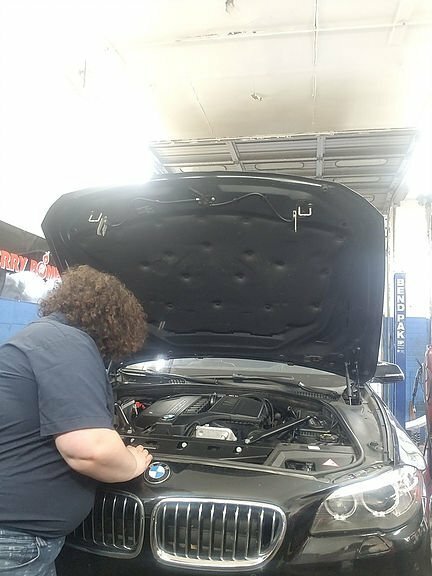 When a customer who didn’t know basic things about there car starts coming in regularly for oil changes I feel on top of the world. I accomplished something. For someone who depended on their car to get to work, regular maintenance can save the lots of money on repairs, money I am helping them save. My job and my life are a balancing act. 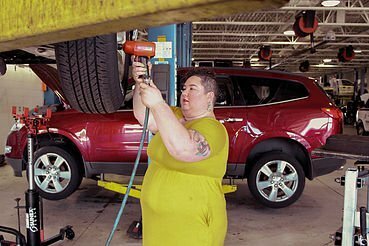 Femme mechanic manager. Complex. Balancing appearing to “feminine” to do my job right and to harsh where I don’t recognize myself in the mirror. This blog is intended to share all kind of things, from the funny moments in the shop to car buying tips and tricks. 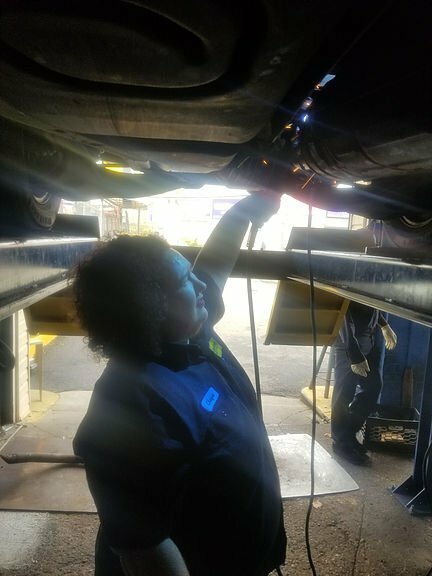 This blog will show the femme side of things in the mechanic world – showing that ethical car repair exists. This blog will hit on the hard topics of sexism and racism in my workplace and the world. I will navigate how I prove myself to my employees, my customers and my boss. 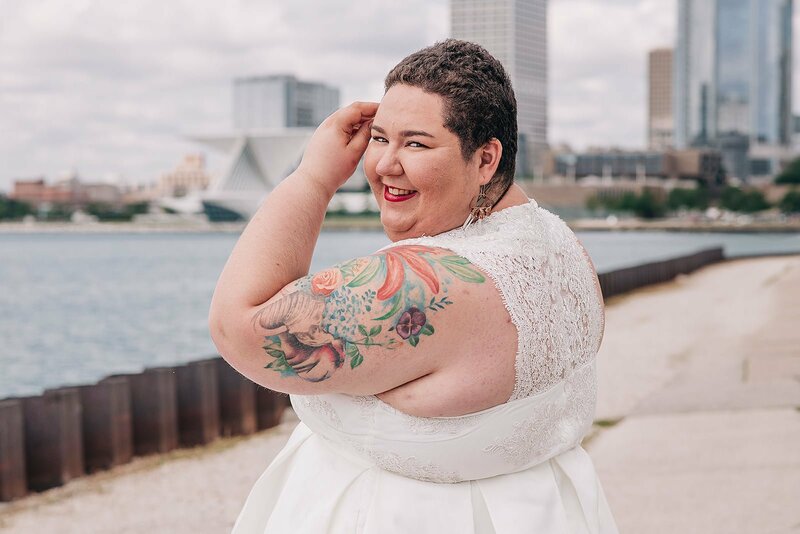 I might even throw in some of the cooking I do, but I can guarantee you lots of fabulous pictures with spectacular dresses. Join me in my adventure!